Across the world, millions of seniors are abused each year—but only a fraction of the cases actually are reported. Statistical data reveals the numbers behind this prevalent issue and how it can be prevented in the future. As many as 5,000,000 elders are abused each year. It is thought that 1 in 10 elders over the age of 60 have been abused. One study reported that as many as 24.3% of residents experienced at least one instance of physical abuse while in a nursing home. Another study estimates only 1 in 14 incidents of elder abuse are formally reported. 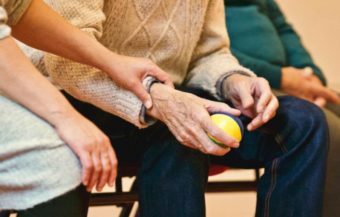 The New York State Elder Abuse Prevalence Study suggests this number is even more severe, with only 1 in 25 cases of abuse reported. It is estimated that these figures are low, as many elder abuse victims are unable or unwilling to report their abuse. Data from Adult Protective Services (APS) indicates a rising number of reported abuses in recent years. A 2018 study found that Massachusetts had the best protections for elders overall and South Carolina had the worst protections. An estimated 5,000,000 people are affected by elder abuse every single year. Elder abuse comes in many forms, including physical, emotional, sexual and financial, and it is not always obvious. According to the National Center for Victims of Crime, 5% to 10% of self-reported elder abuses are physical, 60% are verbal and 14% are neglect. Financial abuse happens when an individual’s financial resources are exploited or withheld. It is estimated that 5.2% of elderly people report financial exploitation from a family member. Elders are more likely to report financial abuse than any of the other forms. Men and women are both at risk of elder abuse, although women are more likely to be abused—in fact, 2 out of 3 elder abuse victims are women. Those who have mental impairments are particularly vulnerable to abuse. Studies indicate approximately 50% of people with dementia are neglected or abused. Poor medical health has also been linked to higher abuse rates. According to a 2009 study, 1.6% of all older adults report some form of physical mistreatment each year. Social isolation is another factor that can increase abuse rates. Individuals who have been abused or experienced traumatic events in the past are more likely to be victims of abuse again in the future. Researchers have also found a link between lower socioeconomic status and elder abuse. Individuals over 65 years old are 34% more likely to be victims of financial fraud compared to those in their 40s. Family members are responsible for as many as 90% of all elder abuse cases. Spouses and adult children are the most likely individuals to commit elder abuse, and are responsible for two-thirds of all reported cases. Friends and neighbors are the next most likely individuals to abuse elders, followed by in-home care aides. Despite the seemingly low rate of occurrence, over 50% of nursing home staff have confidentially admitted to some form of abuse. More recent studies suggest that residents in nursing homes are more likely to be abused by other residents than by staff members. Mental illness and substance abuse are risk factors for abusers. Lack of support, resources or caregiving education can also lead to abuse, especially from people who feel overwhelmed or resentful. Individuals with a history of being abused are more likely to become abusers. People who are dependent on elders, emotionally or financially, are also more likely to become abusers. While abuse can happen anywhere to anyone, some environmental factors can increase the likelihood of abuse taking place. Nursing homes and elder care facilities can also facilitate environments that create a higher risk of elder abuse. For example, ongoing understaffing causes employee stress, burnout and resentment that can lead to abuse and neglect. Ineffective administration and policies can allow abuses to go unreported. Also, negative employee attitudes can foster unsympathetic environments for residents. Researchers in Minnesota and Ohio conducted a joint study of 1,000 nursing homes to rank satisfaction levels. They surveyed families of people living in nursing homes. It is important to choose nursing homes that not only fits your budget but can provide the safest and happiest environment possible for yourself or a loved one. Use a living will or power of attorney to stay in control of your health. Review your will regularly to ensure it accurately reflects your wishes. Maintain a strong social life with numerous people and stay active in the community. Seek help for any addiction, mental health condition or instance of domestic violence. Manage your own finances and mail as much as possible. Direct deposit your own checks. Keep a personal phone and try not to make payments over the phone or at the door. If you have to make a payment over the phone or at your door, tell the person you will contact them when you are ready, then independently verify the organization and their contact information on your own. Maintain good health by looking after your body. Stay educated on elder abuse and methods to prevent it. There are more than 1.7 million licensed beds in 15,600 nursing homes in the U.S.
69.8% of these nursing homes are for-profit businesses, with the goal of making money. Surprisingly few studies have been done on elder abuse rates in nursing homes. In 2013, a total of 5.1% of nursing home complaints were for neglect, abuse or exploitation. Ensure adequate staffing levels exist to maintain quality of care and treatments. Form and enforce procedures and standards of care that are clear and compassionate. Train all staff on neglect and elder abuse with ongoing retraining. Ensure monitoring systems are in place. Educate individuals on the use of power of attorney. Encourage strong support networks with frequent visitors. Allow individuals access to community resources and services. Help elders build a community with numerous social relationships. Develop multidisciplinary teams to intervene and address elder abuse problems. Follow APS guidelines and suggestions for minimizing and preventing elder abuse. Elder abuse can result in physical, mental, emotional and financial problems. Abused elders are 300% more likely to die than individuals who have not been abused. Violent crime injuries are responsible for $5.3 billion in annual medical care costs. Losses of $2.9 billion per year have been linked to financial elder abuse. Individuals with mental impairments tend to have 2 times the amount of financial loss. Hospitalization is three times as likely to occur if an elder is abused. Abuse can also lead to future disabilities and medical issues. Elders who have been abused are 4 times more likely to end up in a nursing home. Report the abuse to Adult Protective Services in your state or notify the police. If the abuse continues, tell someone else. Keep a hidden record of the abuses if you are able to. Seek justice—share your story with the Nursing Home Abuse Justice team today by calling 855-235-0768 or sending an email to contact@nursinghomeabuse.org. Reporting abuses can ensure they do not happen again. Call 911 to report any life-threatening emergencies. Contact the Adult Protective Services office to report suspected abuse. Report abuse to the police. Report abuse to the Long-Term Care Ombudsman. Find more resources by calling the Eldercare Locator at 1-800-677-1116. Centers for Disease Control and Prevention. (2017, May 3). Nursing Home Care. Retrieved from http://www.cdc.gov/nchs/fastats/nursing-home-care.htm. National Council on Aging. (n.d.). Elder Abuse Facts. Retrieved from https://www.ncoa.org/public-policy-action/elder-justice/elder-abuse-facts/#intraPageNav0. Centers for Disease Control and Prevention. (2017, June 5). Elder Abuse Prevention. Retrieved from http://www.cdc.gov/features/elderabuse/. National Center for Victims of Crime. (n.d.) Elder Victimization. Retrieved from https://ovc.ncjrs.gov/ncvrw2017/images/en_artwork/Fact_Sheets/2017NCVRW_ElderVictimization_508.pdf. Adam McCann. (2018, December 4). States with the Best Elder-Abuse Protections. Retrieved from https://wallethub.com/edu/states-with-best-elder-abuse-protection/28754/#main-findings. University of Minnesota. (2018, December 13). Research Brief: Key factors for family satisfaction with nursing homes. Retrieved from https://twin-cities.umn.edu/news-events/research-brief-key-factors-family-satisfaction-nursing-homes.